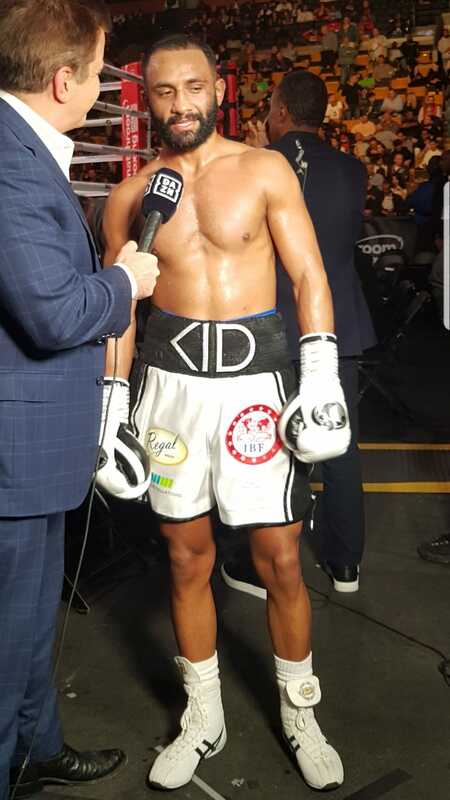 27/11/2018 13:25 Comments Off on Kid Galahad – the dynamite puncher set to become next World Champ? 28-year-old Abdul-Bari Awad (25-0-0, 15 KO) is a 28 year old, former European, British and Commonwealth super-bantamweight champion. Awad was nicknamed Kid Galahad by the legendary trainer Brendan Ingle after the famous 1962 Elvis Priestley character by the same name. A lot like the Priestley character, Awad possesses dynamite punch power in either hand that can result in a devastating knockout against his boxing opponents. Born in Doha, Qatar, Awad at the age of 4-years-old, immigrated to the United Kingdom with his family. As a child Awad was regularly getting himself in trouble the included street fights with the local youths and turf wars and his life was heading for disastrous consequences. However, whilst at a local mosque he met and spoke to the world-famous, former featherweight world champion Prince Naseem Hamed. Awad told Hamed about his life and requested that he help him become a boxing champion just like him. Hamed told Awad to attend his local boxing gym in Sheffield and seek guidance from boxing trainer Brendan Ingle. Awad was determined to become a world champion like his boxing idol and role model Hamed and quickly joined the Brendan Ingle boxing gym Wincobank . 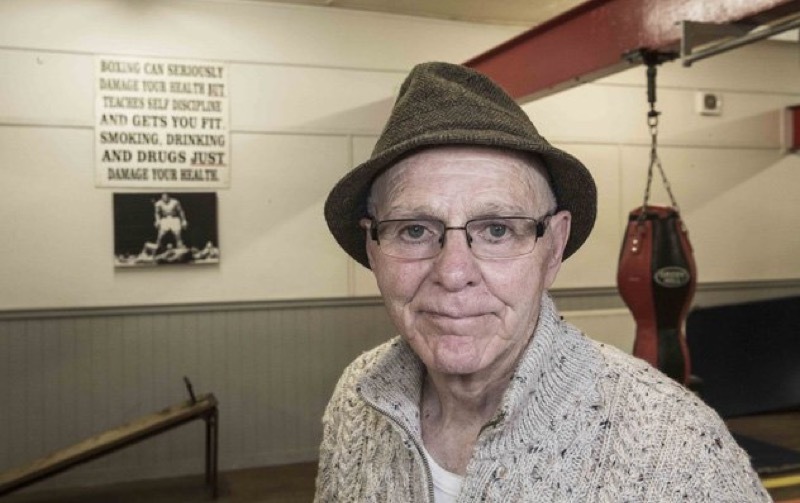 Brendan Ingle MBE (19 June 1940 – 25 May 2018) trained several world champions, most notably Naseem Hamed and encouraged his boxers to use speed, reflexes and movement rather than adopting a traditional boxing style. Ingle was awarded MBE in 1998 for his services to boxing and work with young people and in 2002 was awarded an honorary decorate by Sheffield Hallam University. It was clear from outset that Awad was in good hands with Ingle being able to guide him to the right path and place his energy into boxing rather than the streets of Sheffield, getting involved in trouble. 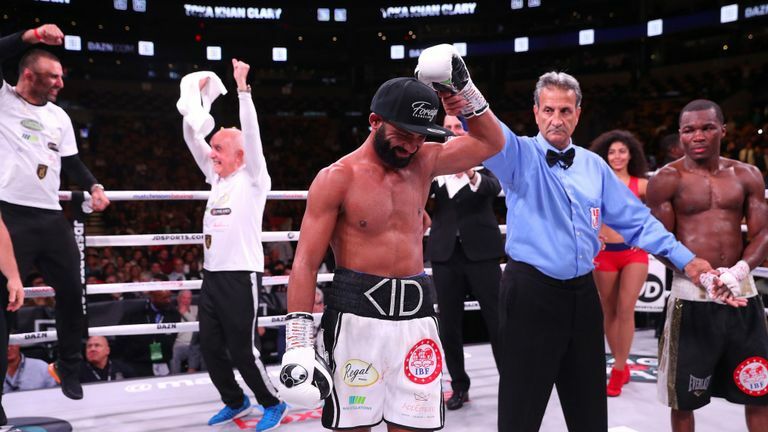 Awad has been boxing training for the over 14 years and has recently won a world boxing championship eliminator against Toka Kahn Clary 25-2-0 in Boston America. “I was a little disappointed not to get a stoppage for the U.S. fans. I knew it wasn’t going to be easy, but I was pushing the fight," Awad told Sporting News. "It felt I was dedicating the pace and even stepped up the tempo from the late rounds to deliver the stoppage, but credit to Toka. He’s a tricky customer with a great amateur pedigree. "I think he had something like 150 odd fights and only 10 losses. I had studied his fights in the pro ranks too and he had only ever suffered one early stoppage. Winning the IBF final eliminator puts Galahad as the mandatory challenger to face the winner of Warrington and Frampton, who fight on 22nd December in Manchester. “It should be a good fight. If Warrington wins, then we have a Yorkshire derby," Galahad said. "I know him from the amateurs and it will be a chance to show him that I’m the ‘King of the North.' If it’s Frampton, I look forward to that in equal measure. Awad is the most avoided boxer in his weight division and it would seem that the other world champions in his weight category have avoided fighting him. He has now earned his place to challenge them and will be involved in a world championship boxing bout very soon. I have personally followed Awad’s career from the start and advised Regal Bakery Director Faisel Hussain about Awad’s boxing potential and my belief that he could potentially become a boxing super star and world champion one day – it would seem that prediction will become a reality very soon. Furthermore, upon my recommendation Regal Bakery has recently started sponsoring Awad and as a company are 100 per cent behind him to become Sheffield’s next world champion.